The ECHO SRM-225 is the most fuel efficient straight shaft trimmer on the market! The ECHO SRM-230 string trimmer comes with a Speed Feed trimmer head that reloads without disassembly. Cushioned handles and ergonomic design provide operator comfort all day long. The ECHO SRM-2620 combines the perfect amount horsepower with a lightweight and easy to use machine! 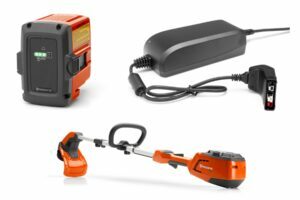 The ECHO SRM-2620T string trimmer is part of the new ProXtreme series. It was designed for easy and comfortable use, without sacrificing performance. The Husqvarna 535LS trimmer was built to withstand tough conditions in commercial landscaping. High powered, ergonomically designed, and built to last! Husqvarna 122C is a low noise and light weight trimmer for domestic use with easy to use functions such as Smart Start. 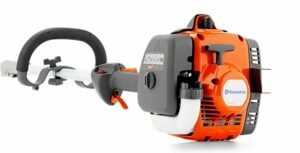 Husqvarna Trimmer 129LK is a multi-purpose tool that features a powerful 27cc engine and professional quality – combined with a focus on ease of use. It is easy to start thanks to Smart Start®, intuitive controls and the automatic stop return switch – a feature that automatically resets to the ON position for trouble-free starting. Apart from trimmer head, 129LK can easily be equipped with a number of other pro-quality tools: blower, pole saw, cultivator, hedge trimmer and edger, by changing the lower part of the shaft.